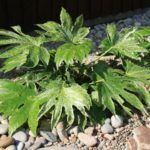 This is such a versatile plant.. great in stature and leafy interest as Fatsia japonica ‘Spider’s Web’ offers white variation with leaf margin and large palmate leaves. It is stunning architecturally and as an evergreen adding fullness and form to any planting scheme. 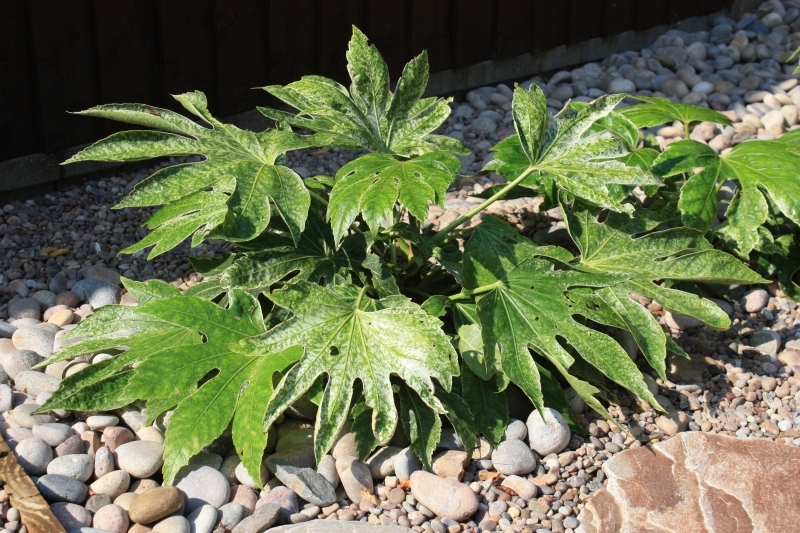 I used this plant in the shadier side of the garden in my clients’ St Neots garden, a design project in Cambridgeshire where I designed a coastal feel garden with two very skilled and experienced landscapers, both go by the name of Al! Despite the snow in early January and February this year, come spring the garden was installed and planted up.